Virtual environments are an important aspect of serious games for heritage. However navigable three-dimensional (3D) environments can be costly and resource-intensive to create and for users to run. In this paper, we propose an alternative approach using “constrained virtual environments”, which present an environment through a series of reduced fidelity two-dimensional (2D) scenes without exhaustive detail. We describe the development of a constrained virtual environment to replicate a 3D environment from a serious game concerning ancient Mesopotamian history. 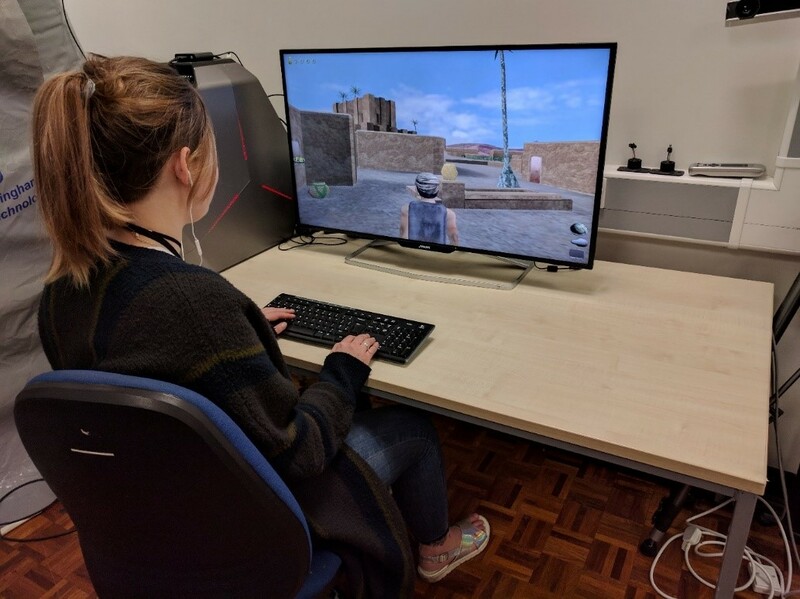 An exploratory experiment discovered that participants experienced a similar sense of presence in the constrained environment to that of the 3D environment and rated the two games to be of similar quality. Participants were equally likely to pursue further information on the subject matter afterwards and collected more information tokens from within the constrained environment. A subsequent interview with a museum expert explored opportunities for such games to be implemented in museum displays, and based on the experiences and issues encountered, a preliminary set of guidelines was compiled for implementing future constrained virtual environments within serious games for heritage. Copyright (c) 2019 Laurence Hanes, Robert Stone, Prof.